Oh Julia (Child), preach on sister-sister! My own love for food knows no boundaries. My husband jokes that I’ve never met a donut I didn’t like. And he is 100% correct! Healthy food, exotic food, fun food. I adore it all! And I credit much of this to my mom’s introducing me to many different kinds of foods as a small child. Some of my favorite childhood memories were made in the kitchen and around the family dinner table. Now, as a mom myself, it is my joy and privilege to pass on this love for mealtime to my own babies. And as I have learned, when it comes to mealtime, the right tools tend to make all the difference! Clearly, babies six months and younger aren’t going to have a lot of variety in their diets. A main staple at this age will obviously be either breastmilk or formula (before moving on to cereal and other pureed foods at the discretion of your pediatrician). But that doesn’t mean mealtime can’t be fun! When it comes to bottle feeding, Comotomo baby bottles are my absolute favorite! I love the simple, modern design — and that they are so easy to clean! 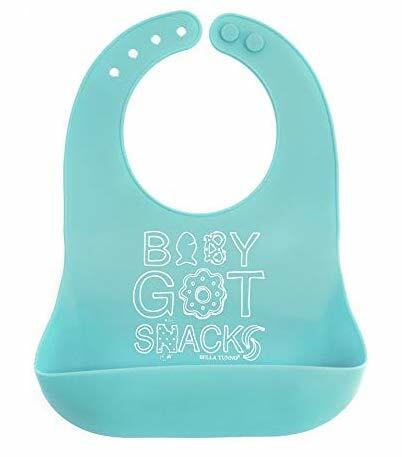 Made of a hygienic silicone material (no need to worry about toxic chemicals), they are ideal for the breastfeeding mom who sometimes needs her little one to take a bottle so that she can, you know, leave the house (alone) for an hour or two every now and then . . .
For the breastfeeding mama, I cannot recommend enough the Body Silk Seamless Nursing Bra by Bravado Designs. I love that the (incredibly) soft fabric molds to my changing shape, so that I can wear my bras all pregnancy long — and obviously postpartum. It comes in several pretty and flattering colors, and is literally the most comfortable bra I have ever worn. Nursing is a breeze! I’m also a big fan of the Body Silk Seamless Nursing Cami — so easy to layer under just about anything for discreet feedings (and pumping sessions) while out-and-about. And for pumping mamas, we love the Clip and Pump Hands-Free Nursing Bra Accessory. Seriously you guys. We’re talking total game changer. This pregnancy, I’ve added the Kiinde Kozii Bottle Warmer to my registry. With three other littles to care for, mama doesn’t have time to wait for frozen breastmilk to thaw! I love that this bottle warmer is designed specifically to follow CDC and USDA guidelines to safely thaw breastmilk, using a warm, flowing water bath. It’s safe to use with all bottle and bag types — including Kiinde, Medela, and even oversized Comotomo bottles. A pretty, discreet bag to carry your pump and parts is always a plus. 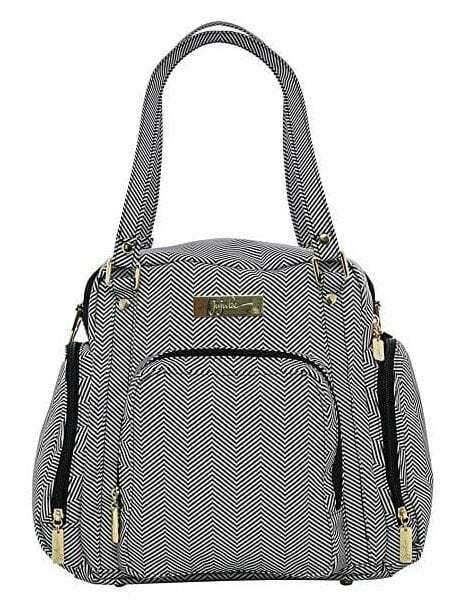 I am currently coveting the Ju-Ju-Be Be Supplied Breast Pump Tote — functional and stylish! And no mealtime favorites list would be complete without including my favorite aden + anais burpy bibs! So soft and absorbent, these guys make the best burp cloths! It’s like a whole new world once baby is ready to try solid foods! I’m convinced there is nothing more hilarious than watching an infant or toddler taste-test something new for the very first time. But be forewarned, feeding baby can get messy and fast! I’m a big fan of anything that wipes clean, especially at mealtime! With three (soon-to-be four) littles ages six and under, efficiency is the name of the game. If it looks pretty, that’s an added bonus! I’m really digging the Oxo Tot Sprout High Chair. I love that it can be used safely and comfortably from six months to five years — converting from a five-point harness high chair to youth-appropriate seat at the dining table. I’m also loving this Navy Leather High Chair Mat from Gathre for catching spills. Despite it’s super chic design, it’s also very practical (and perfect for protecting your floors). The mat is waterproof; a quick swipe with soap and water and you’re good to go! 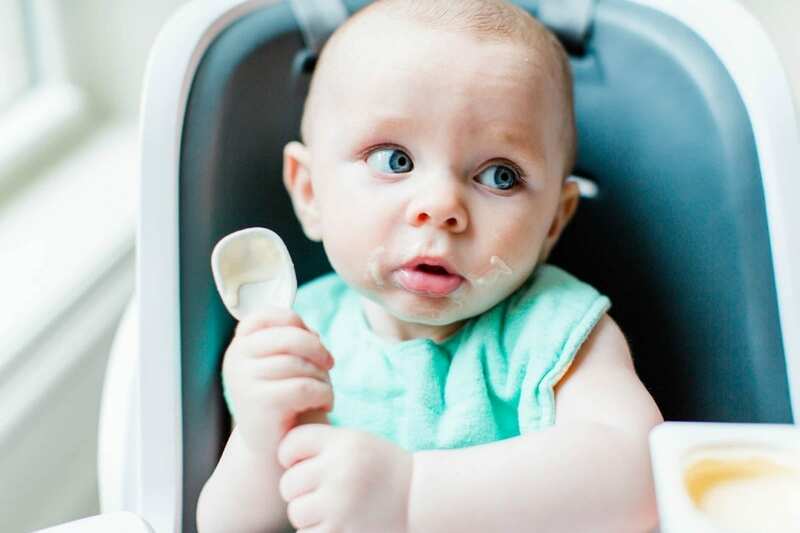 Silicone bibs (like this one from Bella Tunno) are basically my dinner time best friend! I don’t need any additional laundry. Trust me. Interested in making your own baby food? The Beaba BabyCook system is hands down the best system on the market. It’s also really pretty! I am slightly obsessed with the BabyCook Neo (in Midnight), and am seriously hoping to purchase one for use with our Baby Boy! (Hey, husband! Are you listening?) It is the only baby food maker with a glass bowl and a stainless steel steam basket. The 5.2 cup bowl is dishwasher safe, and it’s also BPA, Lead, and Phthalate free! And don’t forget to grab a few of the Beaba Multiportion Silicone Trays while you’re at it — they are perfect for storing and freezing all of that fresh, homemade baby food goodness you will be making! For tableware options, I love almost anything from EZPZ and Re-Play. Mini Mats and Mini Bowls are perfect for your littlest eaters. The mats fit most high chairs and are ideal for travel, promoting self-feeding and developing fine motor skills. For my bigger kiddos I love the plate sets (divided and otherwise) from Re-Play. They also offer some wonderful stacking snack cups for on-the-go, as well as their signature no-spill sippy cups. We are big fans! And when it comes to placemats, there’s nothing cuter than Modern Twist. Dinner time should be fun! I love the Mark-Mat Sets for kiddos, and these marble grey placemats for the whole family! Modern + fuss free. Does it get any better than that? My best advice? Try not to take any of it (mealtime or otherwise) too seriously! Before you know it, they will be “grown” and headed off to kindergarten, then middle school, then high school, then I will be moving into their college dorms with them because obviously my mama heart won’t be able to handle the separation! (Half kidding.) What are some of your mealtime favorites? We’d love to hear! Feel free to share in the comments below. Now, let’s EAT!